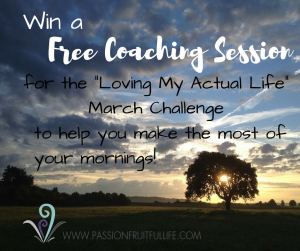 At the Passionfruitful Life blog, we’ve been doing a monthly series of free challenges called the “Loving My Actual Life” Monthly Challenges. They are based on the book Loving My Actual Life: An Experiment in Relishing What’s Right In Front of Me by Alexandra Kuykendall. Each month has it’s own topic, such as: growing in your relationships, organizing your home, or figuring out and expressing your passions. The theme for March is “First Things First–Mornings”. If you want to learn some ways of how you can start off your mornings on the right foot and make way for the best days possible, this challenge is for you. 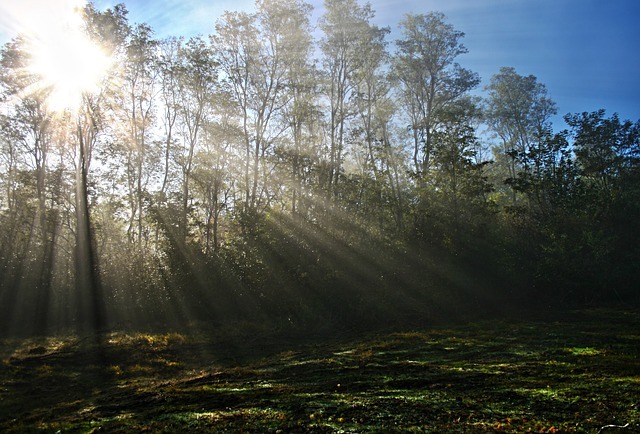 You simple think through and set one to three goals for yourself to help you maximize your mornings. I’d like to offer you the chance to win a free coaching session (by phone, Skype, or Facetime) to help you do this! If you win, you will receive one free hour-long coaching session in February or the beginning of March (depending on what works for you). This session will help you think through your values and dreams for your life and how you can begin or continue to use your mornings to move you in that direction! 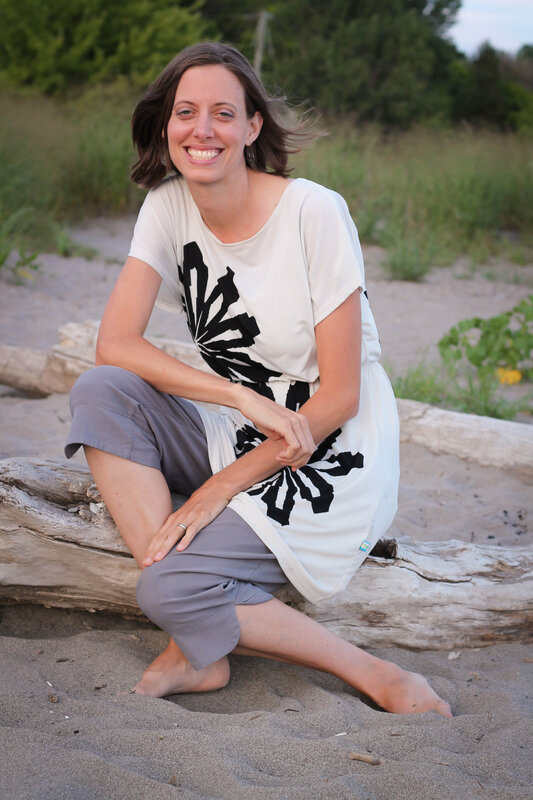 You will also receive a personal e-mail (or two) from me each week to check in and see how things are going, encourage you, and help you adjust your goals if you need to. 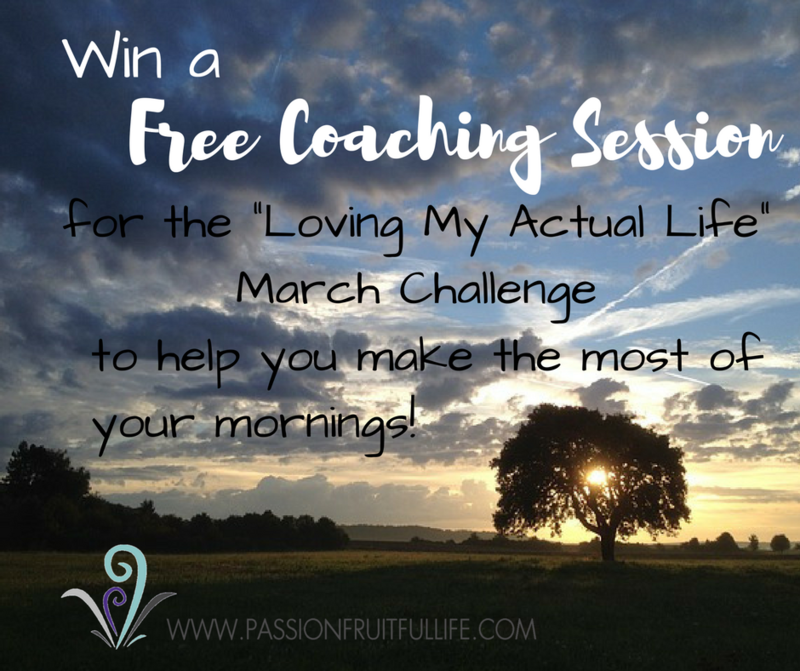 First, join the free “Loving My Actual Life” Monthly Challenges here. Just scroll down to where you find an “I’m In!” button and then confirm the e-mail that will be sent to you, and you’re in. You can choose to join the challenge every month or whichever months interest you. Please share on Facebook and/or Pinterest the link to this contest. Send me an e-mail to let me know you’ve joined the challenges and that you have shared the contest on Facebook (and/or maybe Pinterest). You will be entered into a hat and I will pick the name on February 25. I’ll let everyone know the winner and if you win, I’ll send you an e-mail to set the date and time for our coaching session. I look forward to it!! Got any questions? Send me an e-mail and I”ll be happy to answer your questions!